With a huge passion for the industry there is no task at your home that we can't handle. We offer top notch turn-key services because our mission is to simplify your life while turning your property into the beautiful Estate you've always envisioned. Our staff has more than 25 years of experience. Expect only a high level of quality and workmanship in every project we handle. Get in touch with us via phone or email to request a free quote or estimate today! We look forward to working with you. Proudly providing landscaping and tree service to all of Western North Carolina, including: Haywood county: Maggie Valley, Waynesville, Clyde, Canton, NC and surrounding areas. Buncombe county: Enka/Candler, Leicester, Asheville, Biltmore, Mills River, Biltmore Village, NC and surrounding areas. Jackson County: Sylva, NC and surrounding areas. 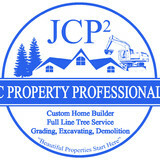 We are star rated on Angie’s list and provide a full line of lawn care service, lawn maintenance service, lot management services, excavating service, tree pruning service, tree trimming service, view improvement service, tree topping service, tree stump removal service, custom built retaining wall service, erosion control service, tree soil and tree root therapy tree service, tree disease control service, tree cabling service, construction site preparation service and tree lightning protection service as well as firewood and lumber service. 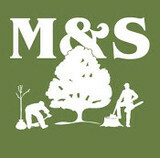 We are certified arborists and always take care to provide the best possible tree service for you and the environment. Our goal is to answer all calls for tree service or otherwise from 7 AM to 7 PM, Monday thru Friday and to return all other tree service calls within 24 business hours. 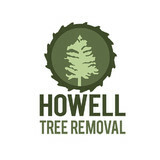 With over 7 years of experience, Howell Tree Removal serves all of the Waynesville, NC area. Our team of tree removal specialists guarantee customer satisfaction by providing each client with the best service possible. 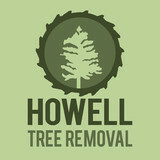 Howell Tree Removal not only services Waynesville, NC, but all of Haywood County. Jeremy Howell started this business with three goals in mind: Honesty Dependability Earn the trust of every Customer Each customer will be very happy to know that we get in, get our job done, and are out of your hair in no time. We have a crew that treats our customers with respect. We work hard, and smart to supply you with the best work at the best price. I hope you will give us a call, and we will see to that you are taken care of. Asheville Arborcare, is an owner operated company with 8 years of experience in trimming and removal of large size trees. We are committed to high quality, fair prices and customer satisfaction. There is not a residential or commercial job too big for us to handle. Call today for your free quote! We are a locally owned and family operated business located in Asheville, NC. We have been servicing the Asheville area for over 30 years. Asheville Arborists are ISA Certified Arborists and Tree Workers with over 30 years of combined experience in Western North Carolina. By staying up to date on the latest research and best management practices in the industry, our team has acquired a high level of expertise in the art and science of tree removal and care. For over a decade, Quality Tree Services has been providing expert tree services to residential and commercial customers. We pride ourselves on being focused toward customer satisfaction, high quality workmanship and maintaining low prices for our clients. Our reputation has only been able to be built and prosper due to our principals when it comes to work and customers. Safety is a major concern that we focus on for the good of the people on our job’s property and our employees. Our tree workers follow a very specific set of guidelines which enables us to complete your tree project in a safe and effective manner. Due to our efficiency and speed on the job, we’re able to complete tree care projects at a lower price than the competition. Being efficient allows us to pass our cost savings down to you, the customer. If you have any questions, concerns and would like to speak with a Quality Tree Services Representative, feel free to give us a call anytime at 828.552.6274. We look forward to speaking with you. Banks Tree Service offers complete and full-service tree care in and around Chandler, North Carolina. For over 50 Years, Clyde Banks Sr. and his team have been taking care of the area's tree trimming, removal and stump work needs. We are fully insured and have an excellent safety record. Don't trust your tree service needs to anyone less than the experienced professionals at Banks Tree Service. We also offer full-service excavating and septic work, which is run by the same father and son team, and led by Clyde Banks Jr. Whatever you need, whether it's an entirely new septic system or a retaining wall, Clyde Jr. and his team can make it happen. Check out the rest of our site and then give us a call for either or both of our services! The Tree Services Story B & B Tree Service started off small as a small, tree services company, like most local businesses, and began to grow rapidly after the owner decided that he loves his job and wants to create a thriving business. Craig started off helping his father, Lewis Beam, in his landscaping company many years ago. After a few years, Craig was able to invest in better equipment and better equipment means better quality of work, and the ability to tackle tougher jobs. 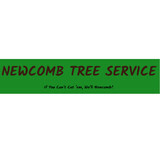 Fast-forward about five years and B & B Tree Service is now a successful small business in Western North Carolina. They focus on both residential and commercial properties and accept insurance for any emergency tree removal situations. Call or click today to get a free estimate. Craig Beam Owner / Operator Craig Beam comes from a long line of family that has been involved with skilled-labor for decades. He’s a graduate from A.C. Reynolds High School. He enjoys spending time with his family, his work and deer hunting. Your Marshall, NC tree service professional or arborist might work in conjunction with another landscape professional to create a seamless landscape design. Here are some related professionals and vendors to complement the work of tree services: Landscape Contractors, Landscape Architects & Landscape Designers, Garden & Landscape Supplies. Find tree service professionals on Houzz. Look in the Professionals section under Marshall, NC tree services. You can look through portfolios and read reviews to see what past tree care clients have to say.